Famous New Zealand all rounder Chris Cairns suggested that famous cricketer and ex-Captain of Australia, Ricky Ponting should call it a day from International Cricket. The Kiwi great was of the view that Ricky Ponting was a burden on Australian cricket and doesn’t need to hang around in the national side. Christopher Lance Cairns was born on June 13, 1970 in Picton, Marlborough, a right hand batsman and right arm medium fast bowler. He had played for New Zealand, ICC World XI, Canterbury, Northern Districts and Chandigarh Lions. He represented the Black Caps in 62 Tests and scored 3320 runs at an average of 33.53 runs, the best of 158 runs with five centuries and 22 fifties. The right arm bowler, grabbed 218 wickets averaging 29.40 runs per wicket with the best of 7 for 27 runs in an innings and 10 for 100 in a match. The 41-year-old played 215 One Day Internationals, scored 4950 runs with an average of 29.46 runs, the best of 115 runs comprising four hundreds and 26 fifties. He gathered 201 wickets at an average of 32,80 runs per wicket with the best of 5 for 42 runs. Cairns said goodbye to cricket on February 16, 2006, while playing a Twenty20 match against West Indies at Auckland. He could have continued longer in international cricket but quit the game when he thought he could not give his best. Ricky Thomas Ponting is a top order master batsman of Australia and has served the nation since long. The 36-year-old has played 156 Test for the Kangaroos, scored 12557 runs at an excellent average of 52.53 runs, the best of 257 runs with 39 centuries and 57 fifties. The master blaster took part in 370 ODIs, scored 13686 runs averaging 42.63 runs, the best of 164 runs with 30 hundreds and 82 fifties. He played just 17 T20s and scored 401 runs with an average of 28.64 runs, the best of unbeaten 98 runs. 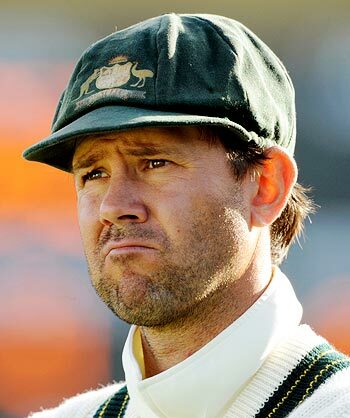 Ponting has retired from T20 already and played his last match on June 8, 2009 against Sri Lanka at Nottingham. He was the most successful Captain of Australia in Test cricket and the national side clinched 34 constant victories in the World Cup under his leadership. 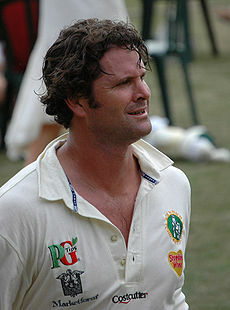 Australia won the ICC Cricket World Cup twice under his Captaincy in 2003 and 2007. Ricky Ponting stepped down from Captaincy after the conclusion of the ICC Cricket World Cup 2011 but his performance has been below average as per international standards.